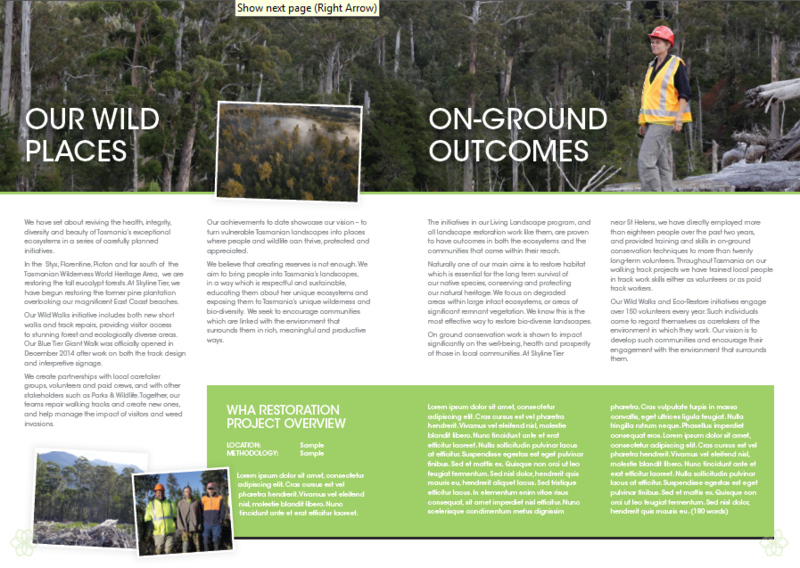 The client had draft material which needed substantial editing to form a brochure on a small range of newly funded projects. 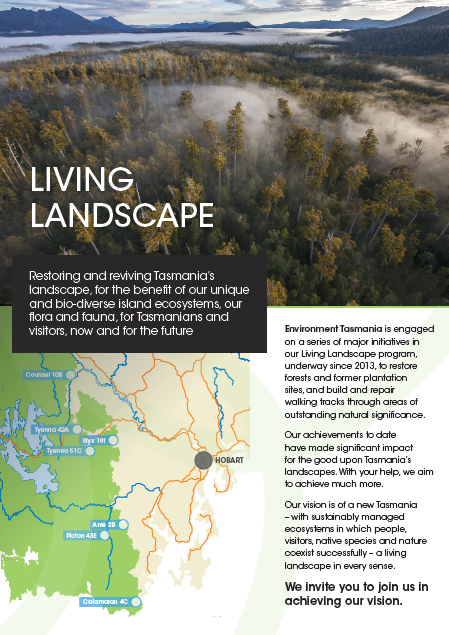 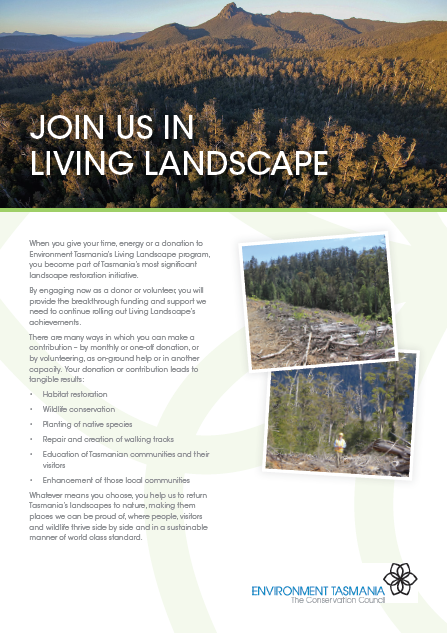 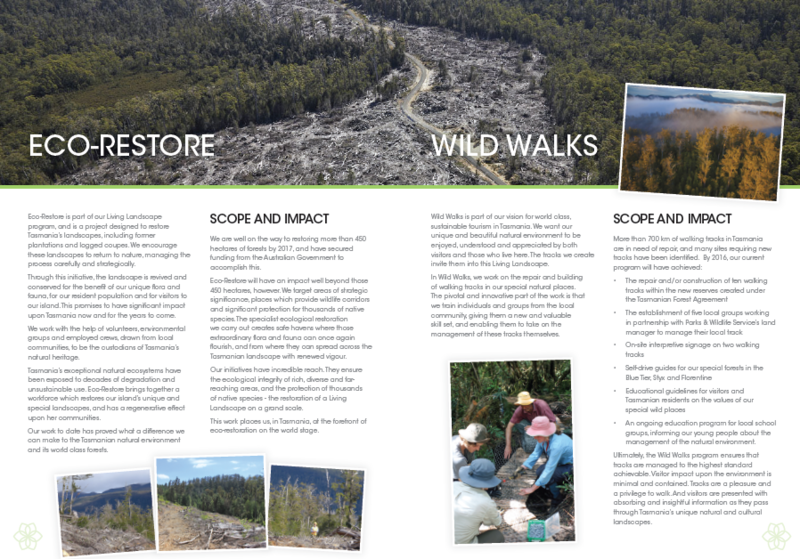 My brief included names for the projects, Eco-Restore, Wild Walks and Living Landscapes which came about appropriately while I was doing the Zig Zag walk into the Gorge in Launceston, and text for the brochure. 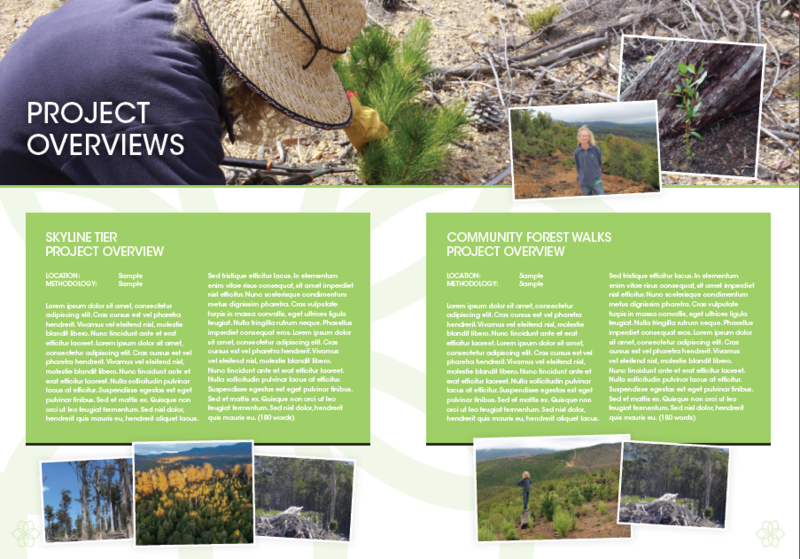 Other work pending for this client includes brochures on other projects and webpages.